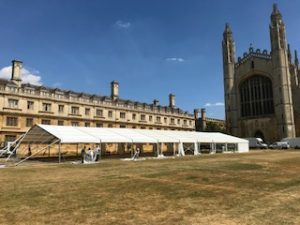 This was taken yesterday during the install at King’s College, Cambridge taken by Garry Chapman the big chief himself! A family concern here at Highfield and not a second goes by that Garry is not worried about the teams out on site during the hot summer. He himself often goes out to site to help and assist the crews.